Pet Habitat was launched in January 2014 with the goal of distributing high quality and unique products to pet stores, veterinary clinics and aquarium stores in South Africa. We began importing four well known brands from USA, Poland and UK. Now we distribute close to 20 different brands to pet retailers, animal hospitals, veterinary clinics and aquarium stores across South Africa. We specialize in everything you can imagine for your pet. We offer accessories for dogs, cats, rodents, birds and fish. You can choose from dog toys to rabbit cages and from scratching posts to fish aquariums. 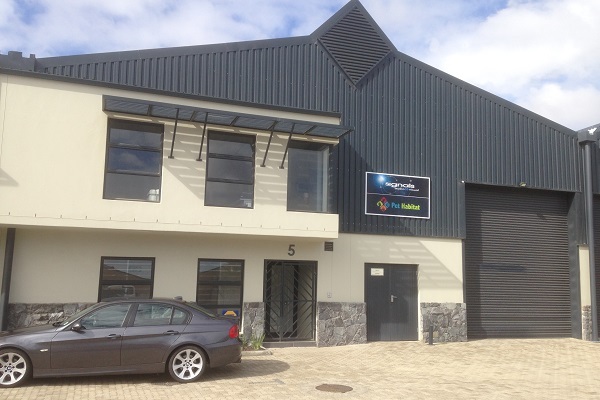 Pet Habitat is known in South Africa as a pet supply distributor who carries a unique product mix, offers exceptional customer service and flexibility, and has the ability to help increase sales for their customers. Our job is to provide top quality pet products from the world’s best manufacturers that anyone in the pet business, whether a vet, pet shop or aquarium specialist, would highly recommend. We are not only focused on expensive or exclusive products, but our extensive range includes products of all types and price ranges that will surely satisfy even the most demanding customers. We recognize the ever changing needs of customers and we continuously source premium quality products for our retail partners and introducing the latest trends into South African market. Pet Habitat is the exclusive distributor for brands such as Aquael, Burgess, Carefresh, Roudybush, MarinePure, Pet Inn, Comfy, Poly-Filter, Sharples & Grant, Brambles, Pet Remedy and Cateco in South Africa. In 2019, we will be introducing South Africans to brands such as Deltec, Easy-Life, Kamoer, American Marine, Pet Rebels, Curadle, Dainichi and Brinsea. Pet Habitat provides all their retail partners with POS material and training to ensure the product lines are a success. Our promotional and marketing strategies are to create brand awareness and to develop customer’s loyalty, which in turn increases sales. Although we are experiencing some tough economic conditions in South Africa, we know that South Africans love and adore their pets and will do anything to cater for their needs, including offering them the best nutritional pet food to maintain their health and longevity and provide them with a good habitat. Not every customer is shopping for the cheapest product. South Africans need a choice and we hoping we will be able to successfully fill this gap in the South African pet industry. Do you wish to stock our products in your retail store? Contact us for a dealer application form and you will have the opportunity to recieve the best-in-class service from a team dedicated to helping independent pet retailers win.